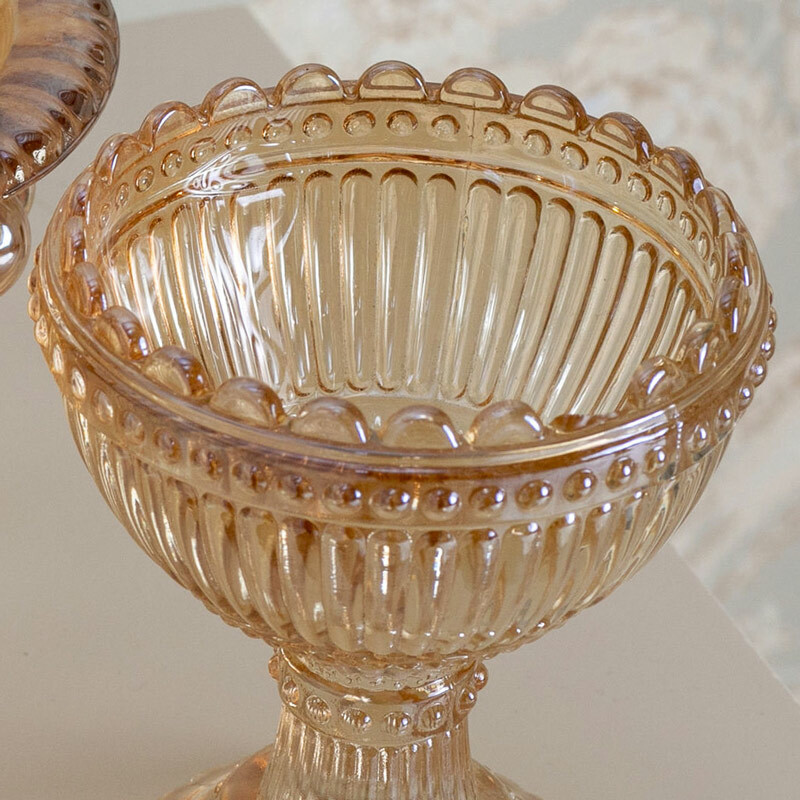 Add some vintage glamour to your home with this pretty chalice style glass bowl. Perched on a pedestal foot, this will be perfect for holding sweet treats, bonbons or for use a s trinket dish. Beautifully decorated with ornate cut glass detailing in a pale gold ombre finish. This will add a stunning look to a dinner party or wedding table centre. Perfect for use at dinner parties, wedding decor or simply for decorative effect. 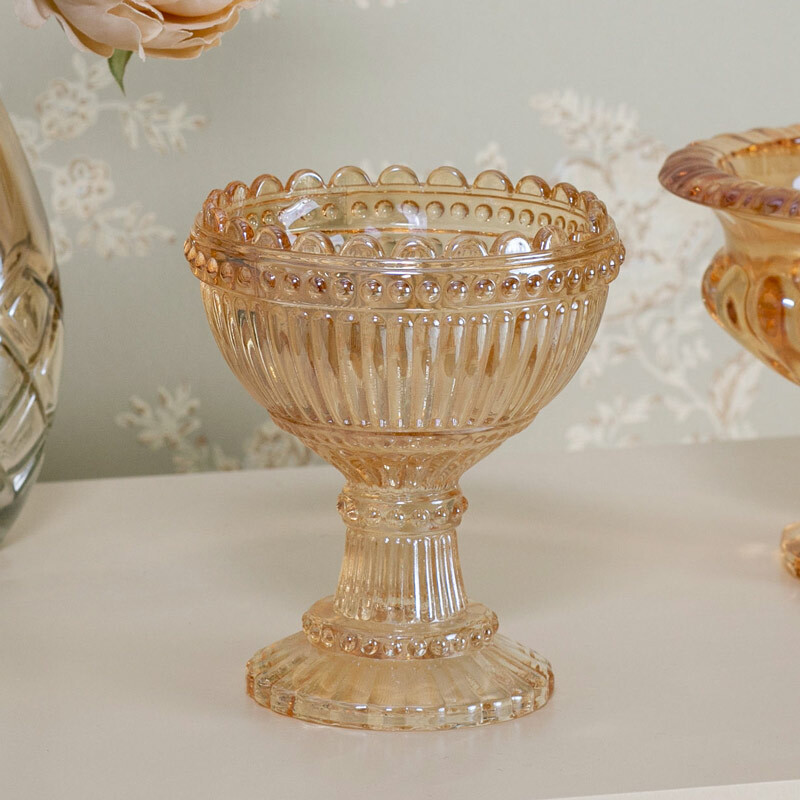 Add some vintage glamour to your home with this pretty chalice style glass bowl. Perched on a pedestal foot, this will be perfect for holding sweet treats, bonbons or for use a s trinket dish. Beautifully decorated with ornate cut glass detailing in a pale gold ombre finish. This will add a stunning look to a dinner party or wedding table centre. Perfect for use at dinner parties, wedding decor or simply for decorative effect. Made from glass with diamond cut decoration in a pale gold colourful with ombre finish.